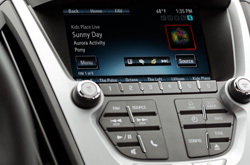 Does the Equinox have what you want out of a vehicle? Scroll past the video to find out! Good Equinox reviews are hard to find; let the stellar Chevrolet dealer in Phoenix put it all in one location for you. This article will tell you exactly what you're looking for. 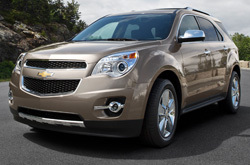 As your Phoenix Chevrolet dealer, you can be sure of on us for precise information on the 2013 Chevrolet Equinox. Read on to see if the Equinox is right for your garage. Comparing the 2013 Chevrolet Equinox next to against vehicles like the 2013 GMC Terrain, Toyota RAV4, Kia Sportage, Nissan Murano and the Honda CR-V, and you will see that the 2013 Equinox ranks above the competition in numerous areas. Browse our bullets to see why! Don't drive to a chain car repair shop in Phoenix when Midway Chevrolet's amazing Equinox experts are only a quick drive away from your apartment or house. We also furnish a long warranty on our work - more than most chain shops do. When you bring your Equinox to our auto repair branch in Phoenix, you'll get dependable service from our competent mechanics. We can work on nearly any job - from windshield wiper or front and rear brake pad fixes to speedy oil and filter changes; we also handle the challenging stuff, including Chevrolet engine repairs and more. It's very simple - to get fair prices and pros Chevrolet repairs, Midway Chevrolet should be your first choice when selecting a Phoenix auto center. Get instantaneous savings at the succeeding link. Click below to search for coupons!